Max Verstappen capped off a remarkable 2016 by breaking the Formula 1 record for the most successful overtaking manoeuvres in a single season. 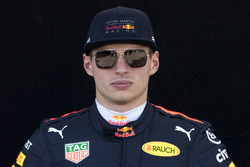 The Dutch driver, who became the youngest ever F1 winner when he won the Spanish Grand Prix on his first appearance for Red Bull, made 78 passing moves during 2016, according to data calculated by Pirelli. 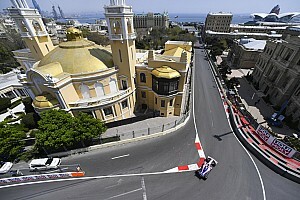 Verstappen, who was Voted 2016 Personality of the Year at the FIA end of season awards, had also made the most overtakes during 2015, his rookie year in F1, with 49 successful moves for Toro Rosso. Pirelli also calculated that there were 866 overtakes throughout the 2016 season, with 41.2 taking place each race on average. The race with the highest number of overtakes (in the dry) was the Chinese Grand Prix at 128, while the Hungarian Grand Prix featured the fewest with the field making just 10 successful moves. The most overtakes at a wet race was the Brazilian Grand Prix, where 64 passes were completed during the rain-disrupted event. The driver with the highest number of overtaking moves in a single race was Mercedes’ Lewis Hamilton, who made 18 manoeuvres during the Shanghai race as he battled through the order from the back of the grid after suffering an ERS problem in qualifying. Sebastian Vettel ended up as the driver that was overtaken the least throughout the year as he was only passed once – by Verstappen at the Brazilian race – during the 21-event season. Pirelli also released the total number of kilometres that were completed during test runs on the wider F1 tyres that will be in use in 2017. 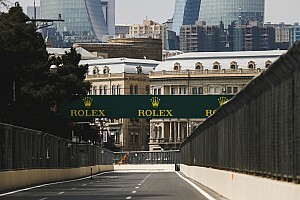 Only Mercedes, Red Bull and Ferrari conducted the programme, but the driver with the most mileage was Pascal Wehrlein, who racked up 3,248km on the new rubber for the world champion squad. Pierre Gasly was next up for Red Bull on 2,494km, with Vettel third on 2,228km. The other 2017 race drivers to get a head start learning the new tyres were Kimi Raikkonen (1,054km), Verstappen (517km), Daniel Ricciardo (200km), and Hamilton (50km). What do you make of the news that Max Verstappen set a new record for overtakes in a single F1 season during 2016? Leave your thoughts in the comment section below or head over to the JA on F1 Facebook page for more discussion.